We'll do whatever it takes to get your phone ring depending on your goals, type of business and budget. More leads means more income. Every sale depends on leads but every business is different. 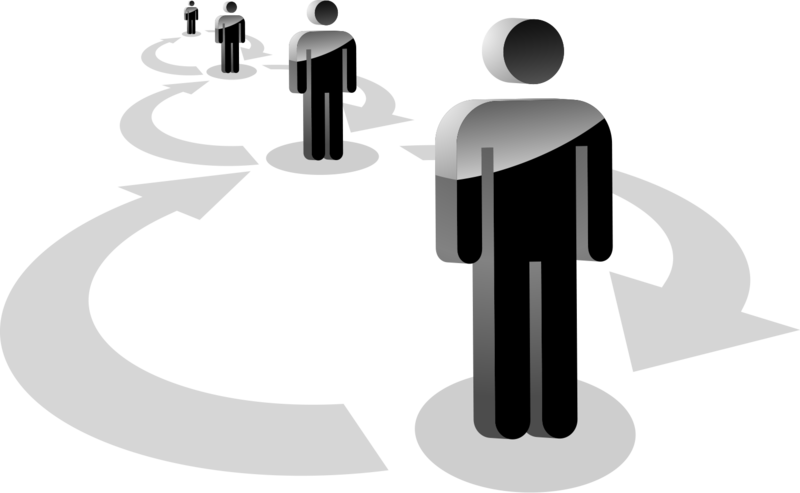 We will advise and fulfill on the best way you need to generate leads. We help you be the authority in your market so that prospect with prefer you and will be willing to pay more for your services. Getting featured in the media and writing a bestseller book in your field are some of the ways you can command more income for your business. One of our divisions is a nationwide sign shop specializing in changeable insert office signs and nameplates. We are supplying nameplates, cubicle name plates and other signs solutions to top government agencies and Fortune 500 companies as well as small businesses. Online reviews are now a big component in prospects' decision re who to choose to work with. We take care of that. We train your staff, create systems and campaigns to get more and better reviews and market that 5 stars reputation while handling the bad reviews. As marketing consultants, we help you get the best marketing strategies you need for YOUR business. We have been providing business consulting since 2001 and we’ve seen it all. We can help you build the strategies you need in order to expand your business.. Without Leads and prospects your business is suffering, no matter how good you are at what you do. Lead generation is the lifeblood of any business. It consists of two steps: Traffic and Conversion. Every business is different - first, we need to look for the niche; an HVAC contractor will have different traffic sources than a dentist, for example. Even in the same niche, each business can be different. We need to look at the existing scene, the advantages of this specific business (its strong points) and the competitors in the immediate market. There are many ways to drive traffic to your website: SEO (Search Engine Optimization), Pay Per Click (Google Adwords), Social Media Campaigns (Facebook and Facebook Ads), Direct Mail, Video Marketing and Content Marketing, to name the main ones. We will recommend the right channel for you and plan it out. Some directions will fit you better than others and it also depends on the aggressiveness you want (both speed and results). We take budget in consideration and incorporate campaigns to get and retain more clients/patients so that when we drive traffic, more are likely to convert and call the business. "People buy from people they like, know and trust." Imagine being featured as an expert on Fox, NBC, CBS & ABC News. Your Prospects and Clients will look at you differently after the major media recognize you as the expert. Everybody are saying they're experts! But what if the media elects you as the expert in your field? Would that make a difference in your prospects' and clients' minds? Imagine appearing in Fox, ABC, NBC and CBS as the "go-to" person in your field. In these days building your authority is vital. "People buy from people the like, know and trust" and nothing builds trust better and faster than being featured as the authority in your market. New prospects will give you a chance and existing clients will want to stay with you longer. when you attach yourself to an authority or a brand (in this case the main news channels), some of that authority sticks to you. When you are a nationally-recognized expert who has been quoted in major media channels, prospect already decide they want to work with you. That decision may be subconscious and quiet but it powerful. Moreover, they would be willing to pay you more for your services because your conceived value is higher. 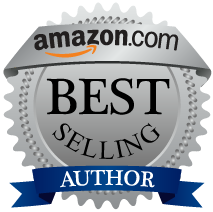 Nothing builds authority better than being a published author and having your book reach a bestseller status! This is conceived by many as a yardstick for actual success in a field and establishes your dominance. 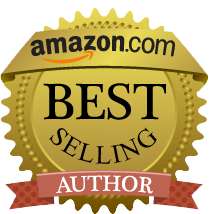 We get your book to the Amazon Bestsellers List. This is the holly grail of authors and we know how to do it. In fact, our team has made over 150 best selling authors. The best part: it is faster and cheaper than you think. Without a solid reputation and a strategy implemented to increase it you are wasting most of your money and efforts invested in marketing and PR. Every business' reputation is easily visible when searching the business online so that when you look up the business name (or name and a city) you will see if it has a good reputation, a bad reputation or no reputation. People are looking for the reputation when choosing a business or service provider. On survey, 4 out of 5 will choose not to do business with a company based on a negative review and another survey shows the minimum number of reviews expected is 6-10, a smaller number of reviews is not trusted. It is hard to say which preceded the other, whether the search engines are accommodating the expectancy of the consumers or maybe people are seeing that more and more and then it became a vital part of their decision, but the outcome is similar - if you don't have a great online reputation you are missing a lot of business. A lot of businesses we speak with depend on referrals as source for getting new clients/ patients. look at it closely: people are exposed to a lot of opinions and when looking for any product's reviews they see some like it and some hate it so they're doing their due diligence by going over the different experiences and not taking one person's opinion. This goes the other way as well: “79% Of Consumers Trust Online Reviews As Much As Personal Recommendations”. Think about it – 4 out of 5 will trust strangers that posted online as much as his personal friends and family. Amazing, but true! So getting a good reputation strategy is actually delivering traffic that is the closest you can to people coming from a referral! We see too many companies calling and emailing our clients promising them "we'll get you to page 1 of Google!". What's wrong with that? Let's put aside for a moment that those needy companies will probably not take you even close to page 1 and if they were so good, why do they need to resort to spam emails/ calls and not have enough business coming their way? Being on first page of Google without a clear strategy is not as valuable as it was in the past. First there are many terms that can rank and you may not be #1 in all of them or even most of them (if you do not have a strategy but instead pick few keywords to rank on) - Google has changed its algorithm so that long tail keywords are now ranking better and people search more using longer terms. The result is that some major players in the SEO communities are not even tracking where they rank (not that the ranking is not important or that they do not do SEO, but they are using strategy and tracking the traffic and analyzing that instead). Second, there are other factors that if you neglect you will not convert the traffic into calls, so that being on page 1 will not be as effective. One of those factors is online reputation that we covered in another section, another is the website design, but it is only the tip of the iceberg. We need to define our audience, study where they are hanging out, see what they like and want and figure out ways to get in front of them and make them want to contact us. So, depending on your industry, your goals and your specific business we can design marketing campaigns, figure out the channels to promote them on (can be SEO, Social Media, PPC, YouTube or video marketing, direct mail or internal marketing, to name a few) and draft out the campaigns. In short, you can do your marketing in a stupid way or in a smart way. The smart way saves you money in the long run. "I highly recommend Metrix Promotions, they are extremely professional and prompt. I have worked with many marketing entities and they are one of the best! Not only were the services prompt, they were professionally done and I would recommend them to anyone. Contact them for your Marketing and Promotional needs - and I trust that they will take good care of you!" Think about it for a second - would you trust a company with a bad, outdated website? Would you even give it a chance and read through it if it looks so bad? Most people won't. They will click on the "back" button and move on. In fact, the span of time they will give you their attention is less than 8 seconds. In that fraction your website needs to convey to them that they are in the right place. It needs to look professional, modern and to have the elements that will pique their interest and get them to look some more and eventually call you. Websites are changing all the time and what was working 3 years ago looks outdated these days. People are exposed to the newer designs and they expect to see the same style and elements in your website as well. So from a design point of view you need to innovate. Most people are surfing the web using mobile devices these days and your website need to fit all types of devices - desktops, laptops, tablets and cell phones. 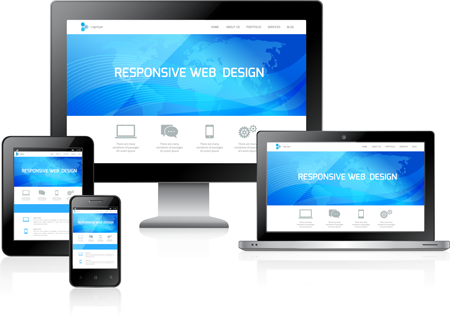 For that you need to have a responsive design. This is a term meaning a website design that changes according to the device you use. While you can have a mobile website that is "attached" to your website and mobile users are directed to it while other see the regular site, this is not the preferred way (by Google) and you should consider switching to the responsive layout. The website should also contain a blog that will allow you to implement a content marketing strategy and it should be written the latest code. Those elements became more important in the last year or so and you shouldn't neglect it. Fill out our form to learn more about our company and the services we can provide for you.